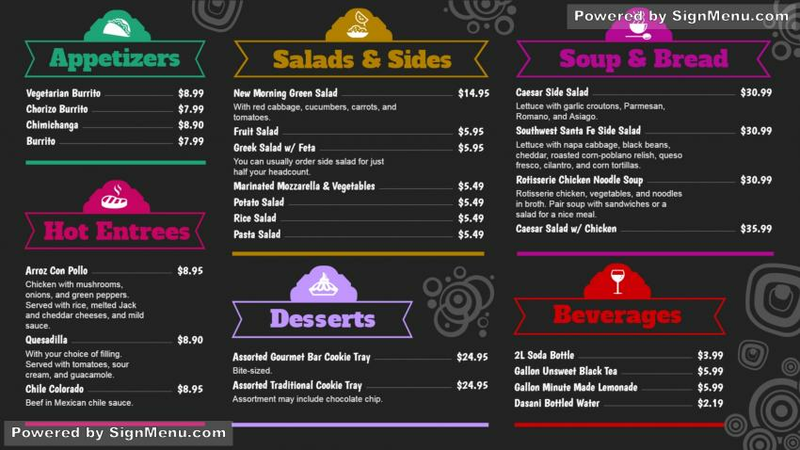 The alluring multi colored catering menu board with interesting food icons is a part of the brilliant icons library and one can edit the template signage using the design editor to create a customized digital catering menu board. Read the names of dishes easily and one can also recognize them by color. Many such digital signage solutions are available for use on smart tv through pen-drive.